I had a pretty hectic and super fun weekend. My friends threw me an precious baby shower that was beautifully decorated and adorably themed. There were cloud cupcakes and raindrops and the food was all labeled with fun baby related titles. I shipped a lot of items out and got to hang out with a friend who was in town from San Francisco for the shower. We spent some time in rainy downtown Seattle, shopping and touring around Pike Place Market. Hope you all had an enjoyable weekend. 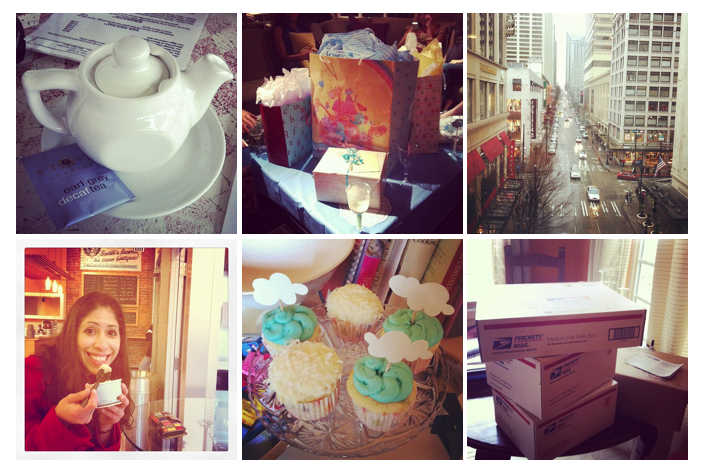 Looks like you had a fun weekend and lovely baby shower :] Those cloud cupcakes are just adorable.